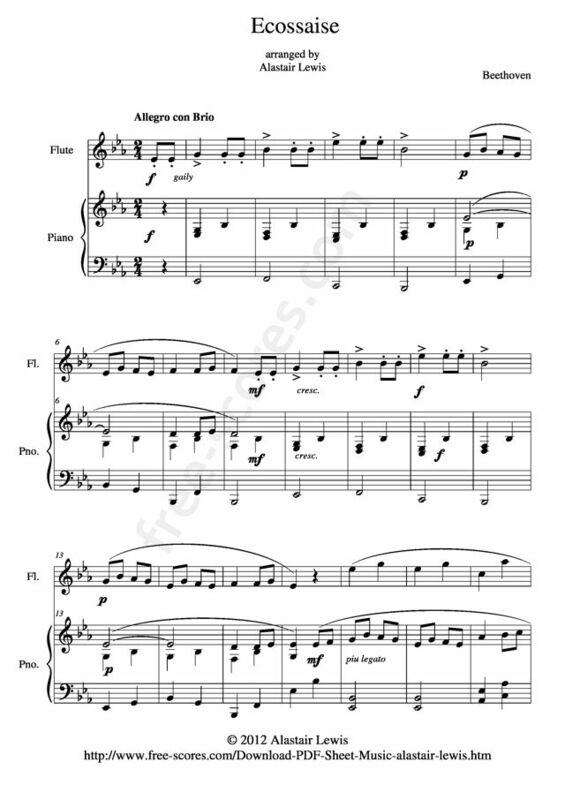 This free sheet music duet for flute and piano is in the key of Eb major. The time signature is 2/4, which is common to many Ecossaises. The tempo is Allegro con Brio, "con Brio" means with vigour. The flute holds the melody in the main theme, while the piano has it in subsequent sections like bars 17-20. 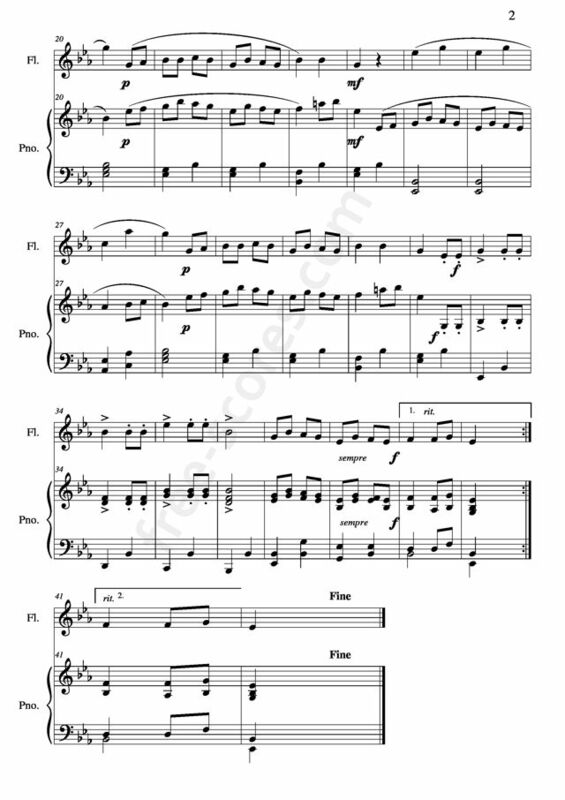 In bars 21-24 the flute joins the piano with a harmonized line to the melody. The "Ecossaise" was originally a dance in a Scottish style, the name is French for "Scottish". It later featured as one of the types of "contra dance" which were popular in Britain and France in the late 18th century and early 19th century. This musicusually has a quick tempo and is in duple time. The music often has sections with significant dynamic contrast, whereby loud sections are closely followed by soft sections and vice versa. The country dance origins of the Ecossaise mean that this musical style has a energetic mood and spirit. 3 scores found for "Ecossaise Beethoven, Ludwig van"